Marvel Comics is known for big event books as tentpoles for their comic series. 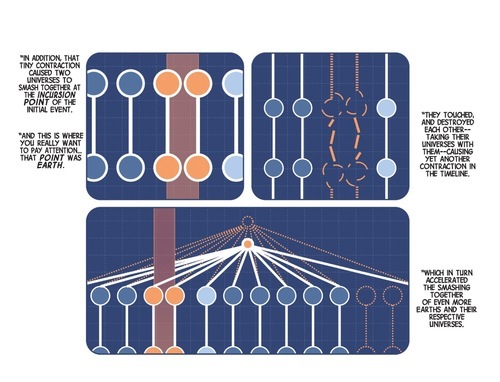 But in 2015, the comic maker is planning to flood the market with, new iterations of some of their most popular events. 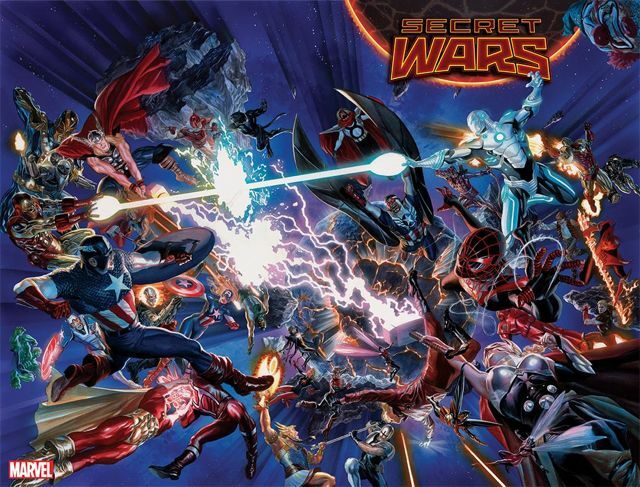 In 2015, Marvel is relaunching “Age of Ultron” as “Age of Ultron vs. Marvel Zombies”, “Civil War”, “Secret Wars”, “Days of Future Past” as “Years of Future Past”, “Planet Hulk”, “Armor Wars”, and “House of M.” But what could bring about the return of all of these events all at once? That is the mystery, though it is rumored that the end of “Time Runs Out” could be the inciting event. For those not caught up on the goings on in Marvel Comics, the end of everything has been coming for awhile. 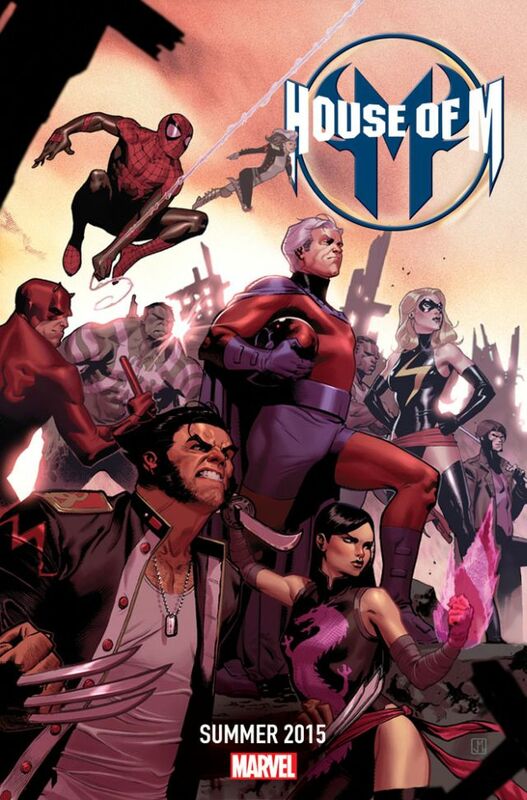 Under the banner of “Infinity”, the New Avenger book has been chronicling the Illuminati (Reed Richards, T’Challa, Hank Pym, and Tony Stark, Namor and Blackbolt) in their attempts to stop the end of the world. I could explain how all of this is occurring, but a convenient image from the comic itself does it quite concisely. And now it appears that the universe is dying through the crashing together of earths from different dimensions. All signs point to this being the means for exploring each of these events in a new light. 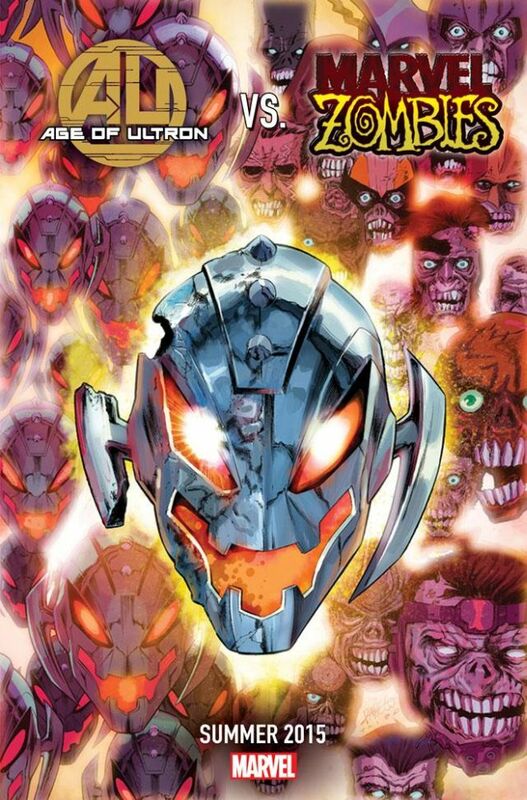 “Age of Ultron” and “Marvel Zombies” – In “Age of Ultron”, Ultron (Hank Pym/Ant Man’s super powerful robot) takes over the world in the future. He systematically is eliminating any force that would stand against him, and the superhero ranks and thinning out. Wolverine travels back in time to stop Pym from ever creating it. Of course, his actions drastically change future outcomes. In “Marvel Zombies,” a plague besets our world turning everyone, superheros included, into zombies. So what exactly does “Age of Ultron vs. Marvel Zombies” look like? Superpowered robots against superhero zombies? Sounds like awesomeness. 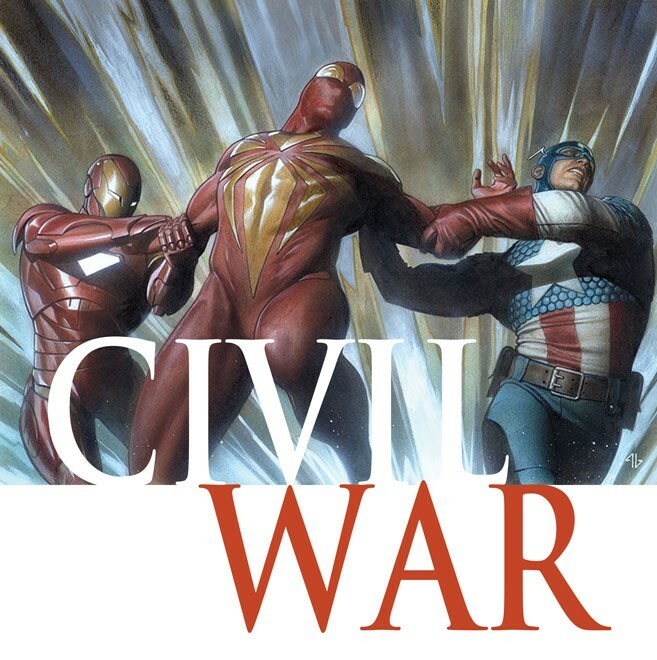 “Civil War” – The government pushes for all superpowered beings to become registered. Iron Man cosigns and leads a push to capture any that refuse to register. The rebel forces are led by none other than Captain America. It’s friend against friend and villains fighting alongside heroes. This also is the rumored source material for the upcoming Captain America 3 film. Following in the spirit of the prior two films, there are deep political issues being delved into here. “Secret Wars” – Cosmic entity The Beyonder teleports select heroes and villains to a planet he creates in a distant galaxy. The purpose? A battle royale. And the winner gets his (or her) hearts desire. This event took place way back in ’84, so the potential of this event with current character rosters is huge. Just look at the accompanying image. This is bound to be a battle of epic proportions. The question hanging over the whole ordeal is why? “Days of Future Past” – Kitty Pryde sends her mind back in time to her younger self to prevent an event that will cause anti-mutant hysteria. There were sequels (“Days of Future Present,” “Days of Future Yet to Come,” “Days of Future Tense”) that all spun out of the events of “Days of Future Past”. This was also source material for the recent movie X-Men: Days of Future Past. 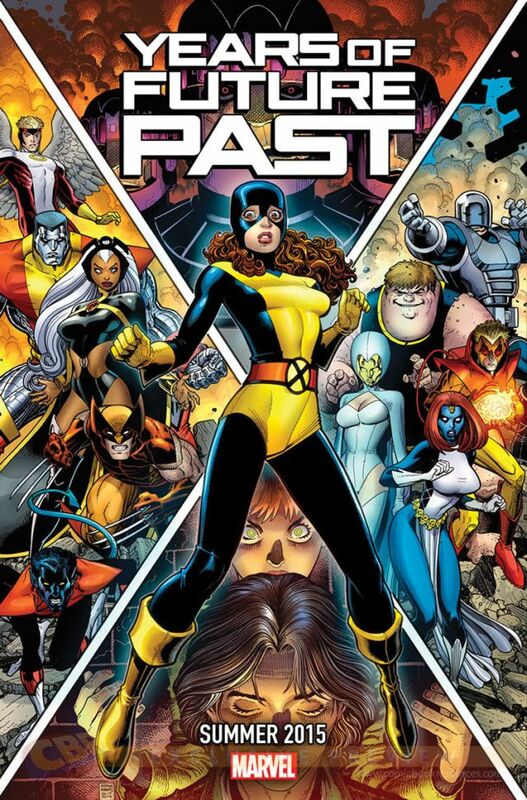 All of these iterations have been great, so expectations are high for “Years of Future Past.” And judging from the cover art, Kitty Pryde will be central to is all once again. “Planet Hulk” – The Hulk is deemed to dangerous to stay on earth and is sent through space. He lands on a gladiator planet where he eventually becomes king and has two sons. Honestly, this story is hairbrained enough. No telling how you spin this differently and make it any more interesting than it already is. 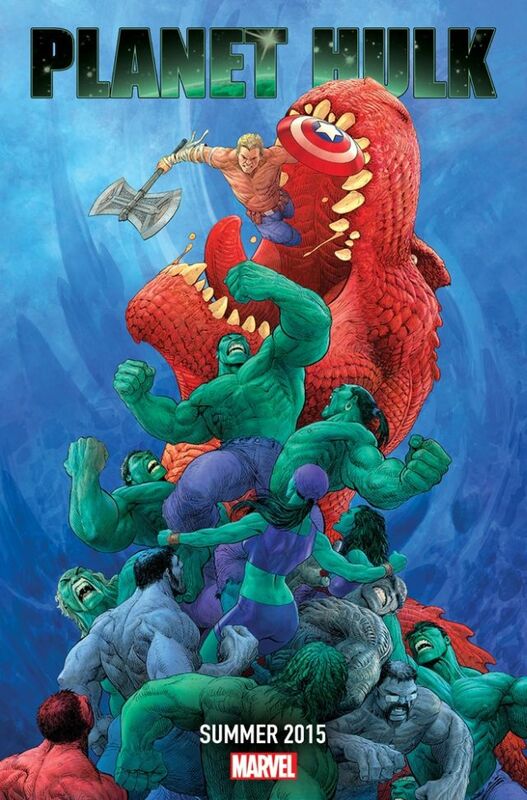 However, from the associated graphic, it looks like there are just a whole lot of Hulks in play, and Captain America is on the front line against them all. 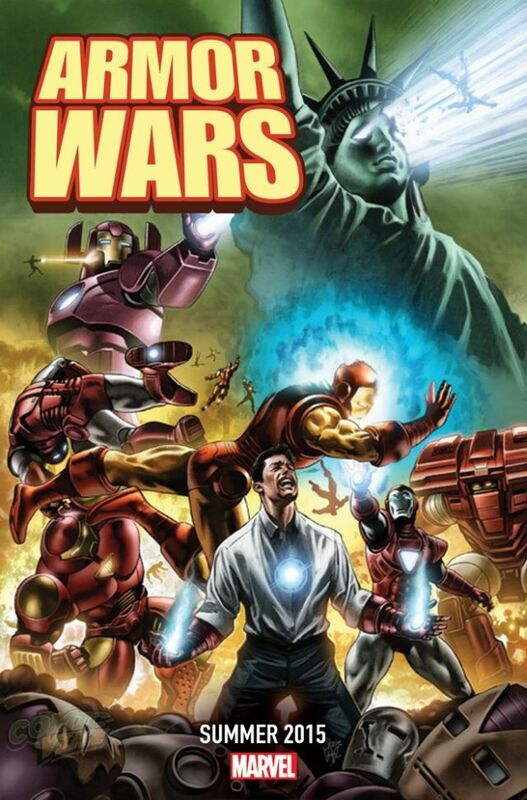 “Armor Wars” – Tony Stark realizes that the designs for his armors have been stolen and he goes on a mission to take down any armored villain that is in use of his designs. A modern take on this could be intriguing with ever-evolving technology playing a part. “House of M” – Another major event from the X-Men books, Scarlet Witch is distraught after the loss of her two sons. When the world plots to kill her, she warps reality, making mutants the dominant species on the planet. It’s always amazing to see the world if a different path were taken, and this is a major one. Will you be checking in to read the explosion of Marvel events in summer 2015? 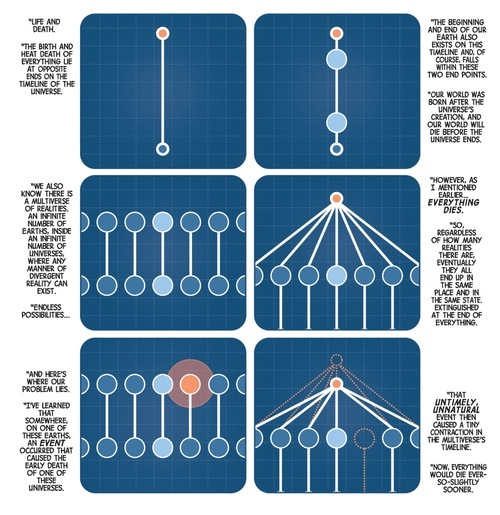 Share your thoughts in the comics section below!